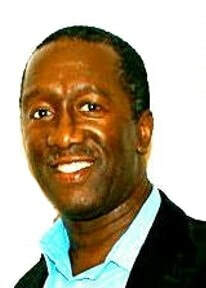 Edgar Chisholm is an award-winning playwright, director, and producer. In 2018 he directed the NYC production of Broadway’s “Having Our Say” for the Morningside Players Theatre. He sat on the panel of playwrights of the 2018 Broadway Bound festival in NY. He is the winner of the Raymond J. Flores Playwriting Prize, The Eileen Heckart Drama award, The National Federation of Community Broadcasters Silver Reel Award, the New American Playwrights festival, and the 2017 Segora International writing competition in Orange, France. His Play “Bridge of Honor” was performed at the 2017 Clare Morris Drama Festival in Ireland. His last two plays, “Tom and Ted Go To the Races” and “The Savage Queen,” were both chosen for reading at the National Black Theatre Festival in North Carolina. His 2014 adaption of Strindberg’s “Miss Julie” with the August Strindberg Rep opened to glowing reviews. His plays have been presented at such diverse locations as The Association For Jewish Theatre Conference in Chicago, Lincoln Center Directors Lab in NYC, Met Theatre in Los Angeles, Juneteenth Festival Theatre of Louisville, Gene Frankel Theatre, NYC, and others. Edgar is a member of the Dramatist Guild, Lincoln Center Theatre Directors Lab, The Fire This Time Festival Playwrights, August Strindberg Repertory Theatre, Manhattan Oracle Playwrights, a Founding member of Harlem Arts Alliance, a member of 29th Street Playwrights Collective, a Director and Board Member of Polaris North Theatre Inc. and a resident playwright at August Strindberg Rep.
​In film, he is the executive producer of the theatrically released 2010 Movie “Deceptive” and has 20+ years at Time Warner’s HBO.